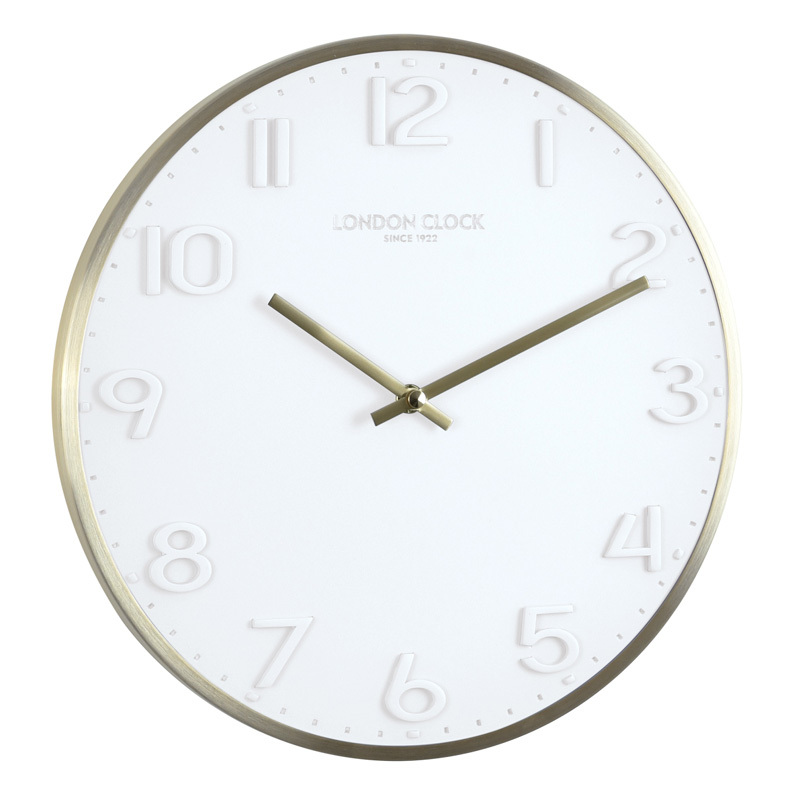 Sophistication and style define this stunning wall clock from our latest collection. The raised numerals of white on white create a modern three-dimensional design that will make you look twice. The white dial is crafted from resin and is enclosed in an opulent brushed gold case made from metal, adding just the right amount of bling! Perfect for a kitchen, study, entrance hall or covered patio area. A great house warming gift for new home owners. Size 30cn diameter, 3cm depth.